Thatâs right, yet another edition of the Twilight Saga is coming out – this time the covers of the books will be white instead of black. This new âChristmas editionâ will only be available for a limited time and will only be sold in the UK. 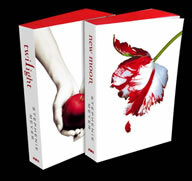 The white copies of Twilight, New Moon, Eclipse, and Breaking Dawn available this fall. The four limited-edition titles: Twilight, New Moon, Eclipse and Breaking Dawn, will be published by Atom on 14th October as Â£7.99 paperbacks, available only in the UK and Ireland, and Little, Brownâs territories including Australia, New Zealand, South Africa and India. The white editions will not be available in the US. 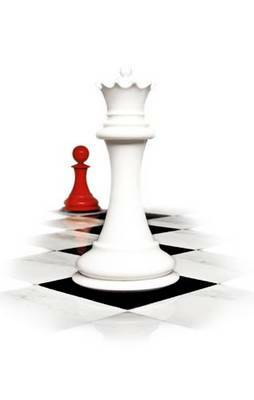 The white titles will only be published between October and Christmas 2010, replacing the usual black jackets. The titles will have crimson-edged pages and crimson back covers, with text confined to the spines. A Â£75 hardback box-set of the Twilight Saga, plus the novella The Short Second Life of Bree Tanner, is also being released on 12th October. If you donât live in the UK, Ireland or those other areas, then you are screwed. Personally I think that if they do it in one country then they should do it in all of them – considering how insanely popular Twilight is. Publishers would make a fortune off of this, Iâm sure there are countless fans that would love a white copy. Thereâs a slim chance that another publisher may copy the white cover idea, but thatâs just me guessing. I can see A LOT of Americans buying these if they were available here. But hey, if youâre desperate enough, you can import it from the UK – it will cost a small fortune though. Anyway, to pre-order the books go HERE. If you live in the UK then youâll want to pre-order as soon as possible, these books will no doubt fly off the shelves. Twilight books in white is at the top of my christmas list lol!